SAY IT LOUD was an exhibition investigating how language is used in the construction of public identities and social interactions. 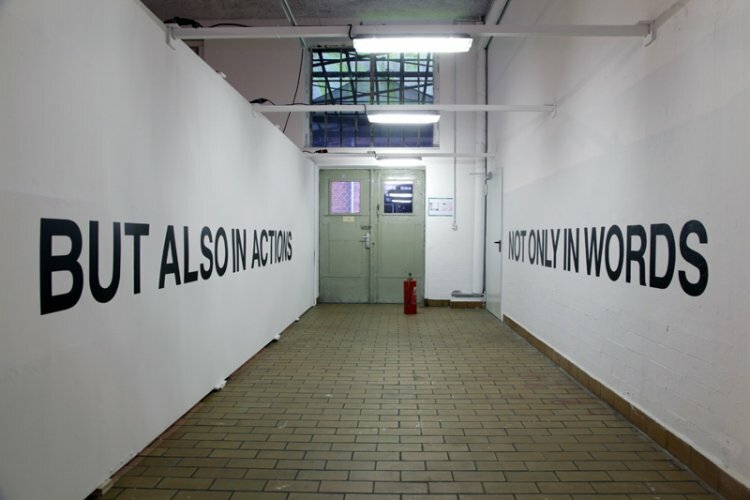 Set against the backdrop of our contemporary communication strata which increasingly favors text-based connections over physical proximity, SAY IT LOUD asked artists and their audiences to consider both the hierarchies and possibilities woven into the relationship between words and actions. 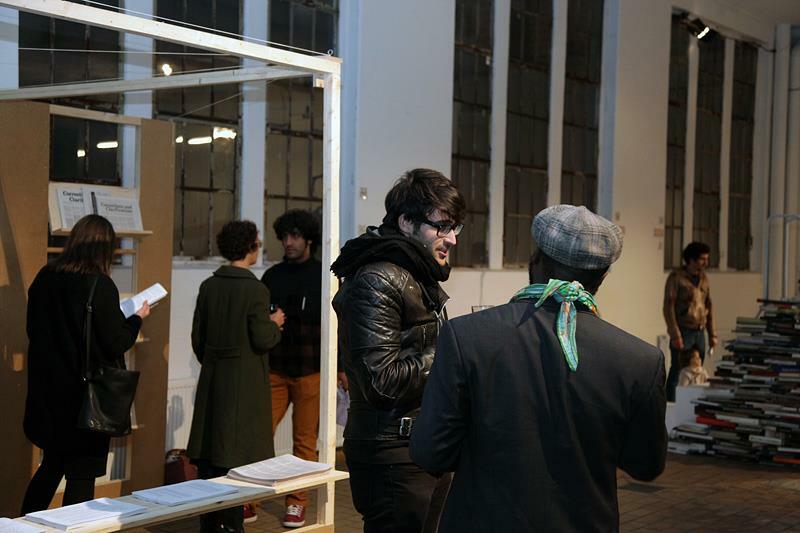 The exhibition developed out of a series of questions: how do words code our daily activities, how does language convey conviviality and, conversely, control the promise of idea exchange? If in the beginning was the word, then how exactly was it said? If words inherently contain their own limitations, thus causing systems of communication to fail, what are the actions that can be produced as potential solutions? SAY IT LOUD brought together a collection of works that critically appropriate speech and text, and which respond to these questions using three main categories of reflection. The first, Text Control, concerns a system of written words and symbols with endlessly fluctuating forms that undergird today’s technology-based correspondence. The second, Speaking Bodies, highlights works that utilize spoken word and performance strategies as a means for countering the current phenomena of virtual disembodiment, bringing into focus orating subjects who establish their material presence within larger historical narratives. The spatial position between body and text is explored within a discussion about Scripted Spaces, defined as locations where the activity of reading reveals the social ethos and codified behavior programs embedded within the public realm. SAY IT LOUD investigated the potential for artistic action within an expanded field of communication, especially at those points where words are driven to the boundaries of their original functions. The artistic activities featured in the exhibition reflect upon the essential characteristics of language, while simultaneously exposing its inherent power dynamics. SAY IT LOUD asked both artists and audiences to reconsider their relationship as a collaborative one. This thus increases the intimacy of transmission and responsibility for the intended message by both parties via the performativity of speech acts and everyday interaction with physical and virtual environments. In an effort to connect the exhibition with Berlin’s local cultural producers, we opened a space within SAY IT LOUD for the presentation and discussion of publication projects that focus on artistic writing and language as a medium within contemporary art. Public speakers, publishers, writers, book designers, and more were invited to contribute and display their recent works. The communal architecture of this space was developed by Lorenzo Sandoval based on his Narrative Machine series. 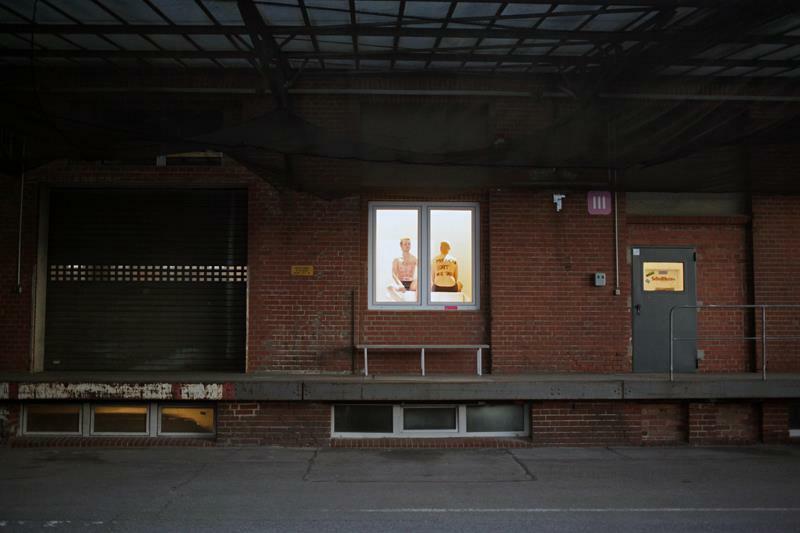 Images courtesy of District Kunst- und Kulturförderung.